Phoenix Theatre Petaluma, Ca April 26th! 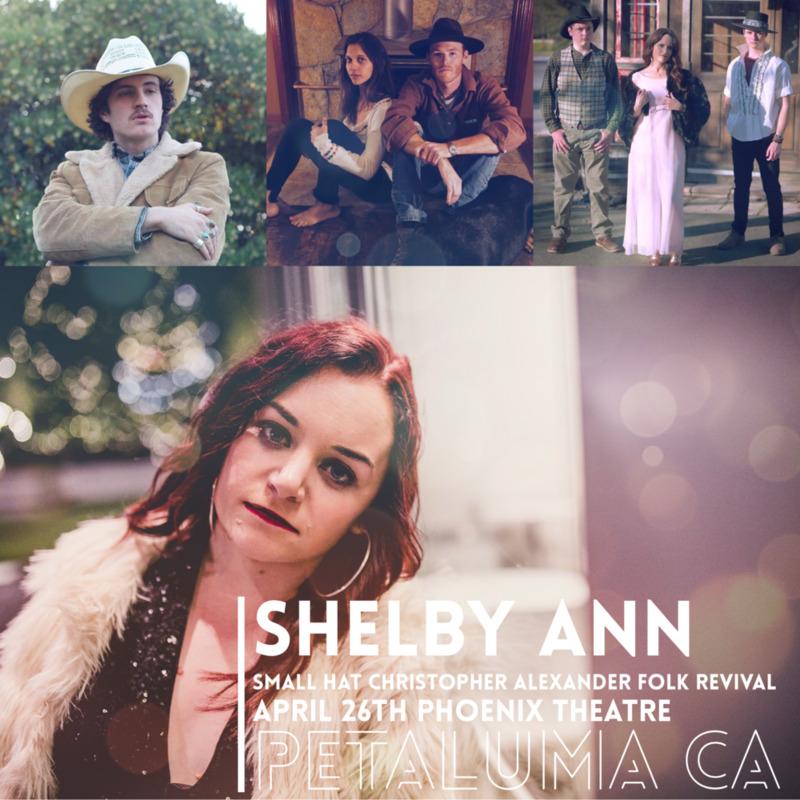 I’m so excited to announce that my debut gig with the full band will be at the Phoenix Theatre in Petaluma, Ca on Friday April 26th. Tickets are $10, show starts at 8pm. I' will be joined by local artists Christopher Alexander, Small Hat and Folk Revival. I’m really looking forward to sharing the stage with this epic group of musicians I’ve put together. It’s going to be a great time, and a show you won’t wanna miss! Signing with Country Music Vibe!